Are You Eligible for a Short-term Business Loan? Find out. Cash flow is one of the most important requirements of any business. You never know when you might be presented with an unbelievable business opportunity that you simply cannot afford to pass up. When your business is in need of immediate funding what do you do? Angel investors are usually hesitant when investing in a business that hasn’t been around for a good number of years. Applying to a financial institution, like banks or finance companies, for a loan may seem like the most obvious option to go with. However, your business has to qualify for the loan based on a very specific criterion set by these financial institutions. 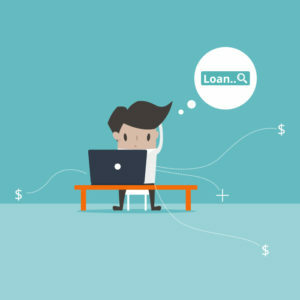 All financial institutions have their own unique standards against which they will gauge your business before sanctioning and issuing a loan. Most financial institutions will gauge the future success of your business based on your annual turnover. Some institutes have a minimum requirement of ₹ 40 lakhs, and a maximum requirement of ₹ 300 crores. Some private credit providing companies have a more flexible requirement. Some financial institutes simply do not entertain businesses that haven’t been around for more than 3 years. For example, your business has to be over 3 years old to even be considered by a bank for a business loan in India. Some financial institutions have a more flexible approach towards approving loans. Most financial institutes grant loans exclusively to businesses that generate profits. Your business is eligible for quick business loans only if you have been generating profits for at least two years and above. Before approving loan for a business, the business owner’s credit worthiness is taken into consideration by financial institutions. If you have any massive outstanding loans, or have defaulted on your payments, most financial institutes will be hesitant to loan you money for your business. You have to be a minimum of 21 years of age to be considered for a business loan in India. Also, candidates above the age of 65 are not eligible for a business loan. A number of financial institutes decline loans to a business that rakes in an annual income below ₹ 150,000 per annum. This often makes it difficult for small businesses or start-ups to attain a business loan from various financial institutions in India. Fortunately, today there are a number of reliable and easy ways of attaining the required funding to boost your business. NeoGrowth is a private finance company that offers businesses loans upto ₹ 1.5 crores. NeoGrowth doesn’t have a stringent eligibility criterion, and offers quick, easy loans with no fixed EMIs, no collateral, limited documentation, and a loan disbursement period of just 3 days. Apply for a NeoGrowth business loan today at www.neogrowth.in. Next How do you keep your Home Décor Business Ahead of the Competition? Find out.